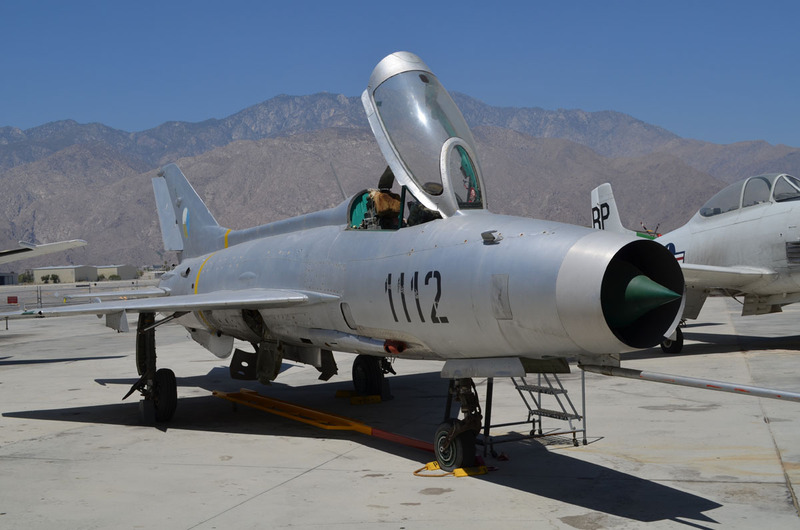 Mikoyan-Gurevich MiG-2lF 1112 at its new home in the California desert. 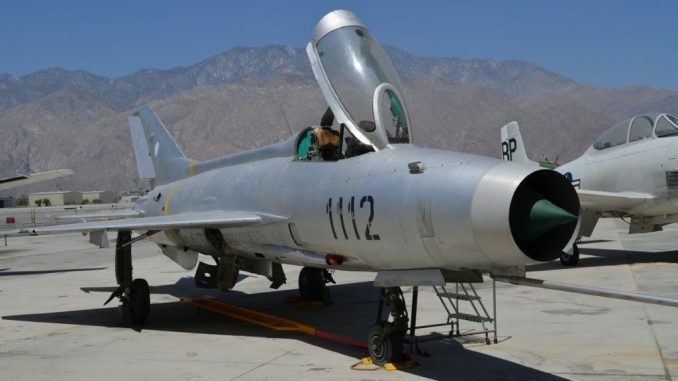 The Palm Springs Air Museum (PSAM) has added a recently-acquired Mikoyan-Gurevich MiG-21F 1112, a former Czechoslovakian Air Force plane, to its collection on display. The plane was brought to the United States by a Czech emigre Stefan Hornack who brought his collection of Eastern Bloc warbirds over with the hopes of setting up a new museum. Unfortunately Hornack was killed in a car accident before he could bring his dream to fruition and his collection has been dismantled. Stefan’s Widow donated the MiG-21F to PSAM and the plane will be restored to its original Czech Air Force colors and markings and will be placed on display next to the museum’s McDonnell Douglas F-4 Phantom II, itself receiving a new paint job recently, switching from its natural metal finish to a paint scheme representing the livery of a carrier-based US Navy F-4.